The All India Institute of Medical Sciences (AIIMS) has asked all its employees, including nurses, to refrain from taking part in the nurses strike announced by the All India Nurses Federation. The AIIMS administration also made it clear that casual leave will not be sanctioned in case of nurses suspending work on February 26, the scheduled date of the one-day strike. “It has come to the notice of the administration that at the behest of All India Nurses Federation, the AIIMS Nurses Union is resorting to strike at the institute on February 26 by way of observing one-day mass casual leave. “In this regard, it is notified for the information of all concerned that striking the work in any form that includes insisting the other working employee to desist from work, is against the very definition of conduct rules. All the employees of the institute are therefore warned to desist from taking part in the agitation announced by the All India Nurses Federation,” the notice issued by the Chief Administrative Officer, AIIMS, said. The notice said if a case of any nurse being stopped forcibly from working in AIIMS comes to the notice of faculty, they can inform the Deputy Chief Security Officer or the Security Control Room. The All India Nurses Federation has threatened to go on a mass casual leave on February 26 as part of its ongoing agitation for a hike in their salaries and other allowances. The Federation has warned the government that work would be halted in every public hospital from March 15 onwards if their demands are not met. 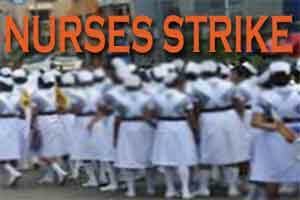 AIIMS nurses’ union has also extended support to the strike. Federation members said they wanted to discuss the issue with the government but were not being given an appointment. 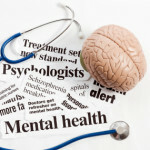 “We have been trying to get appointment with the Health Minister but are not being given time. Also, they themselves have never tried to contact us over the issue,” Federation’s Secretary General G K Khurana said. “We are protesting against the retrograde recommendations of the Seventh Pay Commission. We are demanding that the entry pay grade for staff nurses should be enhanced to Rs 5,400 from the existing Rs 4,600. Also the nursing allowance should be enhanced by Rs 7,800. Risk allowance and night duty allowances should be given to all nurses like all other government employees. “We deal with the deadly infections daily but we are not provided enough risk allowance. If the demands are not met, we will go on an indefinite strike from March 15,” Khurana said. Nurses across the country are already on a relay hunger strike since February 12 which will conclude on 27 of this month over the issue.